What are the differences between community businesses in England, the Netherlands and Sweden? Last year Professor Nick Bailey from the University of Westminster led a research project, commissioned by Power to Change, comparing community business in the Netherlands, Sweden and England. The report was launched with a panel discussion featuring Nick Bailey, Dr Reinout Kleinhans from the University of Delft, Dr Jessica Lindbergh from Stockholm University and Peter McGurn, Chief Executive of 20-year-old community business the Goodwin Trust in Hull discussed the similarities and differences of community-based social enterprises in the three different countries. As the private sector retreats from poor communities as there is no money in it, and governments cut back grant funding to the third sector, community-based social enterprises (CBSEs) are stepping in to fill the gaps. So what do community businesses in England, the Netherlands and Sweden have in common? Well quite a lot. We interviewed three CBSEs in each country and found they range from nurseries to meeting places, housing for those with special needs to employment and training services, arts-related projects and much more. All of them deliver benefits and address needs of local people, with strong core values underpinning their business. They work closely with other service providers in their area and very often fill gaps where provision for services has been cut. Challenges include relying and recruiting volunteers and board members, as well as relying too much on grants from funders or government. So far, so familiar. But despite these similarities between CBSEs in the three countries there are also significant differences. For instance, they originate in different ways. In Sweden, many are instigated by Coompanion, a national organisation which specialises in setting up work integrated social enterprises (WISEs). These focus on training and employment related activity against a national backdrop of ‘societal entrepreneurship’. 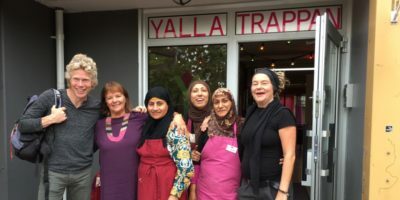 For example, at Yalla Trappan in Malmö immigrant women have turned the skills they know, such as sewing and cooking into trading activities. They run a café and catering, sell jam they’ve made and even have a contract sewing for Ikea. In contrast, in England and the Netherlands, most CBSEs have grown out of previous regeneration or community development projects. For example, in the Netherlands Stichting Bewonersbedrijven community enterprise originated from the De Poelenburg community centre, which has developed into an umbrella organisation for resident initiatives in the city of Zaanstad. Residents started highlighting ways to improve the area to the local council but as a result of the economic crisis, they’ve had to take matters into their own hands. 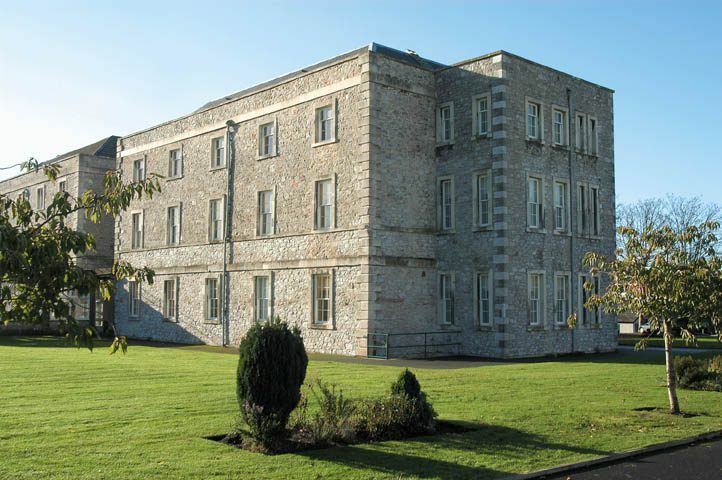 In England assets such as surplus public land and buildings are being transferred to CBSEs by councils, for example the council has transferred assets to Millfields Trust in Plymouth, which now manages over 130 small business premises. Despite this, there are still £7 billion worth of assets that could be put in community hands in England. However, at least England has a national asset transfer policy, unlike Sweden and the Netherlands where it is much less common practice. Leadership also varies in England where the lead person tends to be the Chief Executive, whereas in Sweden it is normally the Chair of the board and in the Netherlands it can be an employee, a board member or a volunteer – whoever wants to lead. Accountability also varies between case studies with each CBSE defining this in different ways. In the Netherlands, most CBSEs are foundations i.e. they have a board with no members but lots of volunteers, against a national policy backdrop of participation democracy. In some cases there is a fear of being too transparent with stakeholders and government in case it leads to interfering. In England, structures like community shares can help with formal accountability, where each member has an equal vote. An important discussion point arising from the panel was how far CBSEs are a response to austerity and retrenchment in the three countries and in what ways can CBSEs bring about social, economic and environmental change in areas with high levels of deprivation. In the Netherlands, CBSEs operate in the polder economy, where contracts with local government and lots of local stakeholders mean they are not independent. Sweden has many different words for ‘community’ but none that fit comfortably with commercial activities, which means a CBSE can find it hard to get recognition from government as a model. In England, Peter McGurn from Goodwin Development Trust summed it up well. When designing their website, they tried to model it on organisations delivering a similar amount of activities and found they most closely resembled local authorities as they deliver so many local services that people need. Whichever country you look at, it seems CBSEs are filling a much-needed gap all over Europe. The final report includes important messages for national and local governments across the European Union. These center around the need to increase support for community business, as is happening in Scotland, and decide at what level support should be provided. To find out more read the report and check out the case studies.